Promoting Good Health is the place to learn about health, disease and the environment from a dedicated team with a passion for sharing what they have learnt with others. As practitioners working every day with clients, we spend our lives looking for the best and most effective techniques to help real people in real life situations. And as bio-medical researchers, we have spent our lives looking at how living systems work in health and disease. To do that we have to critically examine experimental data, assess whether a piece of scientific evidence is good or bad and whether it is credible. Through Promoting Good Health we wish to share this knowledge with you. We want to be your source of unbiased information: Information based on sound fundamental principles, years of first hand experience and credible scientific evidence. Information based on fact and not on hype or vested interests. Information to help you stay happy, healthy and avoid disease. Information you can trust. Born and raised in Adelaide, South Australia, Dr Stephen Hardy has always been fascinated by the natural world. With a Ph.D. in biochemistry and immunology from the Flinders University of South Australia, he spent many years looking at how cells become cancerous and how the immune system keeps us healthy. Instead of finding answers, he found more and more questions; questions that led him to realise that the future of health and medicine lies not in finding cures but in preventing diseases from occurring in the first place. It also led him to realise that you cannot live a healthy life in an unhealthy or polluted world. Spreading this message is now his mission. Stephen has published and lectured internationally on health and preventative medicine, cancer, environmental issues, eco-system management, endangered species and sustainable lifestyles and agriculture. 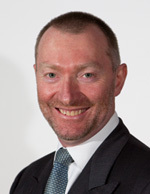 Stephen also consults to universities, industry, runs his own company and lives in the Adelaide Hills, South Australia. Sandy Litt is a registered psychologist and hypnotherapist with nearly 30 years experience in private practice. He is also an international speaker, author and publisher of numerous books. Sandy’s approach to therapy incorporates both Eastern and Western philosophies of healing. He specialises in various areas of psychological trauma including rehabilitation, pain management, prevention and treatment of child abuse, dissociative disorders, anxiety, depression and related difficulties. Sandy has also been involved in training and teaching psychology students and trainees over many years. Sandy is an engaging and dynamic author and presenter who has given workshops and seminars in England, Turkey, USA and Australia. His topics include: Raising Happy Kids, Protective Behaviour, Building Happiness & Contentment and Be The Best You Can Be. Sandy lives and works in the beach suburb of Glenelg, South Australia, with his wife and two daughters. 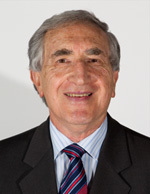 Born in Australia of parents from the Greek island of Kastellorizo (Megisti) in the Aegean Sea, Professor Alfred Poulos has a Ph D in biochemistry from London University and a law degree from Adelaide University. The University of Adelaide awarded him a professorship for his research into genetic diseases, fats and fat metabolism. Alf has worked in universities, research institutes and hospitals in the UK, USA, Canada and Australia. His most recent appointment was as Chief Medical Scientist at the Women’s and Children’s Hospital in Adelaide South Australia, a position he held for many years. He is currently the Managing Director of Biolipids Pty. 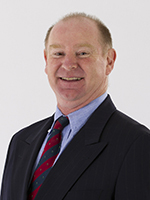 Ltd., an Adelaide-based biotechnology company. A widely respected scientist, researcher, author and public speaker, Prof. Poulos has published over 150 papers in invited and peer reviewed international scientific and medical journals. While Alf’s research has been wide and varied, it has chiefly focused on the role various fats play in health and disease. Alf’s recent interests are in the potential health risks from common artificial chemicals in our food and in the environment, chemicals we cannot avoid in our everyday lives. He published the first edition of his book on the subject “The Silent Threat”, in 2005. Alf lives in Melbourne, Victoria.